This year for my wife’s birthday, we went to check out El Cactus Restaurant, a Mexican Fusion restaurant located in Port Dickson. I have heard so much good things about this place from friends. Luckily I am married to a beautiful lady that loves to try new things like me. 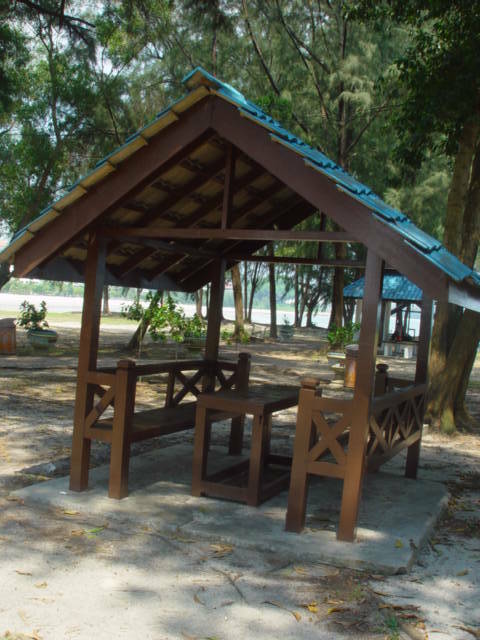 This place is tucked away just across entrance of Mayang Sari Resort. Its easy to spot especially at night as there is a large lighted signboard at its entrance. The ambience is really romantic, reminds me a some restaurants in Koh Samui. We ordered 2 main course and a plate of mixed nachos. It was nice and my wife loved the guacamole in the middle. But mind you, a plate of nachos here is big, I feel that’s its for four person and above. For the main course I had the fettucine and my wife had a steak. It was priced reasonable. For the three dishes and two soft drinks the bill ame to about RM110.00 and the portion of each dish to me was rather large. Service is rather slow but the staff there is quite friendly. So I would suggest that you to avoid Saturdays and Sundays when Port Dickson is busy. There have also a bar inside and also a pool table. This place is ideal for romantic dinner and also for small group parties. On weekdays they are only opened dinner. And weekends they are opened also for breakfast and lunch. 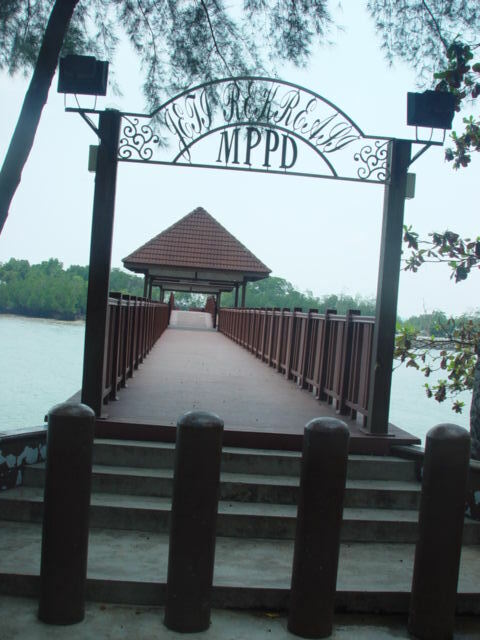 As mentioned in my earlier post Accomodation in Port Dickson, that the Local Council is doing a great job in beautifying PD. 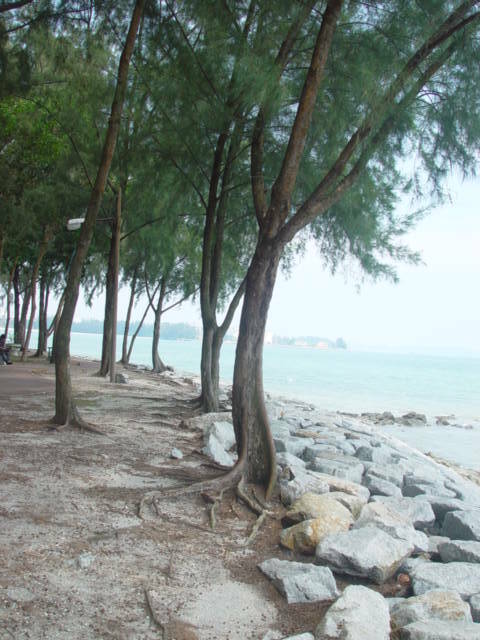 On such place is the Pantai Cahaya Negeri near to Bayu Beach Resort. 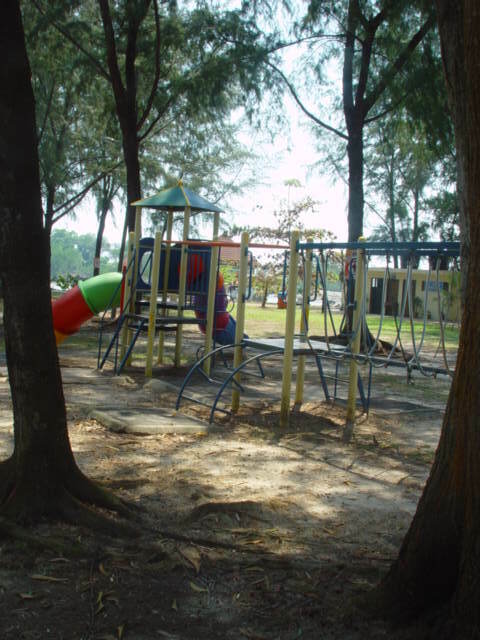 There are clean toilets there, small gazebos for picnic, playground and alot of shady trees. 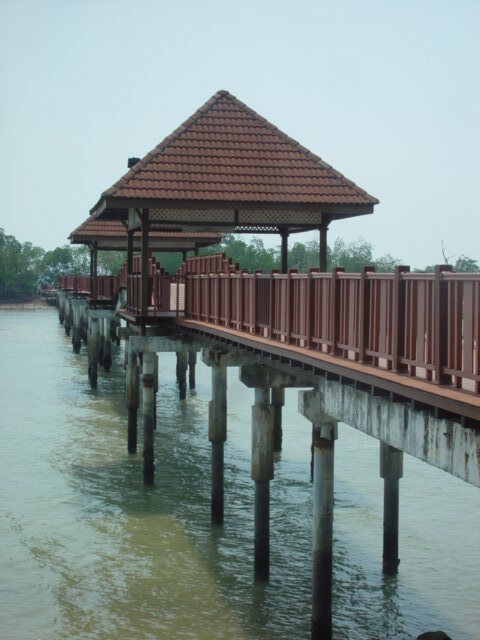 Port Dickson is one of my favourite destination in my Travels at Malaysia, cause its close to Kuala Lumpur.